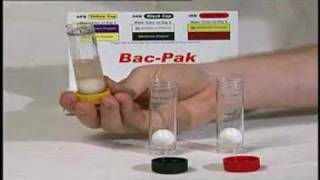 The BAC-PAK is a test kit designed to allow fi eld testing of wet pipe sprinkler systems and/or water supplies for MIC causing bacterium. The kit allows fi eld testing for; Iron related bacterium (iron-pipe oxidizing and reducing bacterium); Sulfate Reducing Bacterium (causes pit corrosion) and Acid Producing Bacterium (causes pit corrosion). The testing takes just a few minutes. The results will appear over a period of up to 9 days to allow for bacteria culture growth. A more thorough test performed by a chemist and including a laboratory analysis is available. 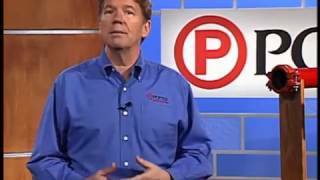 The Potter water test model PWTK, stock #1119178. For dry pipe systems use the Potter 5 Year Deposit Test Kit. Stock # 1119174. This test is also performed by a chemist and includes a laboratory analysis.